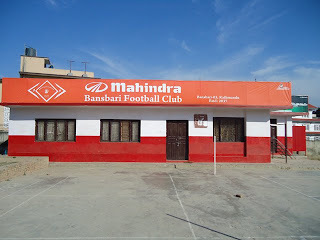 Looks like Mahindra Bansbari Club went all-out to give their sponsor added value. This is refreshing to see as most Nepali clubs are only in search of a quick handout and not a long-term partnership with their sponsors. 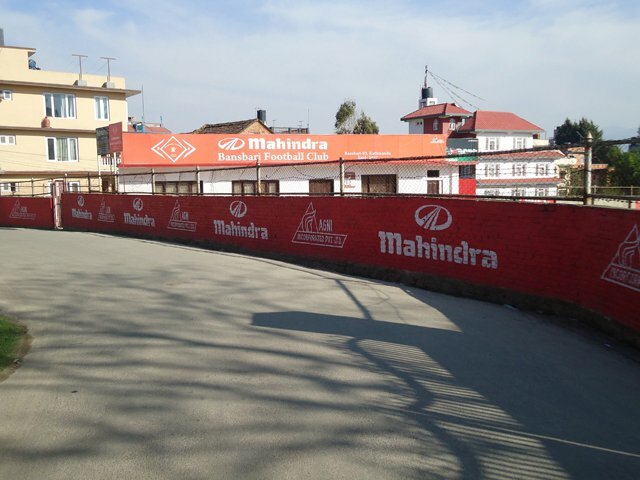 The north Kathmandu side have also launched an official website. Bansbari is one of two non-departmental 'A' Division sides, Jawalakhel Youth Club being the other, that have their own training ground. 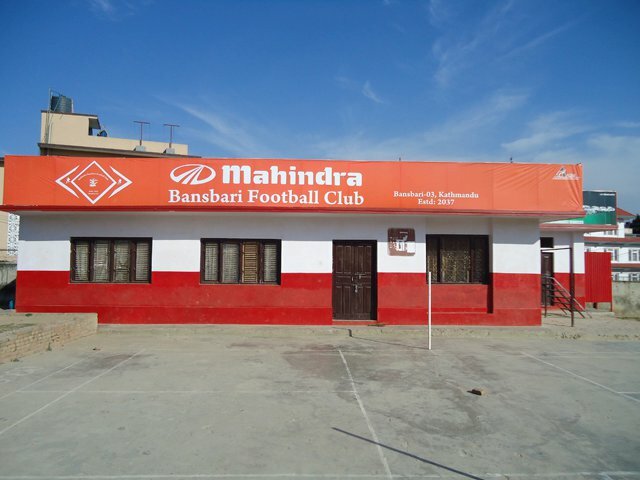 Photos taken without permission form the official Mahindra Bansbari Club website. I was quite excited when I came across the photo below on Facebook. Bixon Tamrakar, a devoted Three Star Club supporter, created his own flag which he proudly displays at TSC matches. Shockingly this is quite rare in Nepal. You almost never see any fans carrying flags and banners or wearing jerseys of their favorite Nepali clubs at home, on the streets or at the stadium. There just isn't any color, camaraderie or pageantry at our grounds, thus usually most matches have a very dull atmosphere. 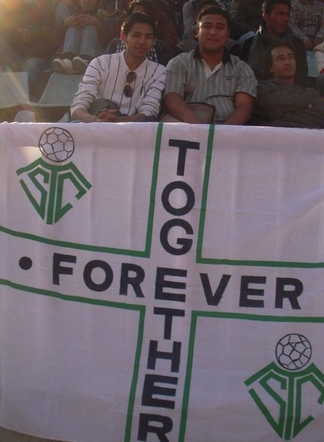 As a result, unless you are truly football 'pagal' or a low-life hooligan, there really is little attraction in going to games. 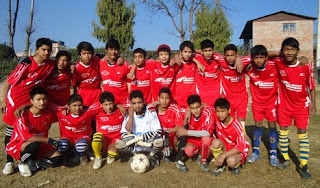 We need a lot more fans like Bixon to make Nepali football more festive and vibrant. 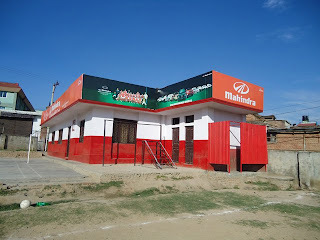 For this clubs need to play their part. I've long chastised our clubs for not doing enough anything to develop their fan base. 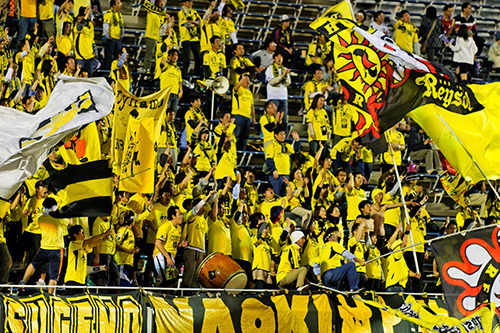 It starts with the fact that most clubs do not even have a recognizable logo or permanent color schemes. Add to this the non existence of club merchandise (jerseys, hats, flags) and the lack of affiliated fan groups and you have a recipe for the bland atmosphere at football matches. Furthermore, clubs are basically forfeiting valuable ticket and commercial revenues by ignoring fans. Compare the two photos below. Which match would you buy a ticket for? Which teams' jersey, IF AVAILABLE, would you more likely purchase?